Firebase provides a bunch of features to use together in your app, provided by a project that you create at the Firebase console. Normally, it's sufficient to have all your app's resources provided by a single project, but there are times when you want a single app to be able to access data from multiple projects. For example, you may need to access data from two different databases, and be able to authenticate users to access each one. I'll show you how that's done in this post. Legacy Firebase.com Project A project created on the legacy console, associated with a Firebase Database that has not been upgraded to the new console. Firebase Project A project created on the new Firebase console. Every Firebase project is also a Google API project underneath. App A client for a specific platform. Each project can have multiple apps associated with it..
One particular scenario occurs for developers who want to upgrade their existing legacy Firebase.com database to a new Firebase project, while also being able to use services from another Google API project. 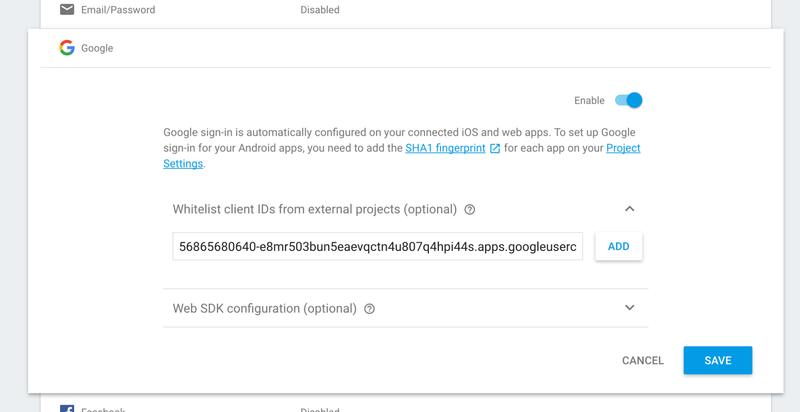 The upgraded legacy project becomes a new Firebase project, and that needs to be used in tandem with the Google API project that provides Google Sign-In authentication for existing users. Warning: If you see this, don't delete your existing client ID for apps in production! This will break your app for your existing users. 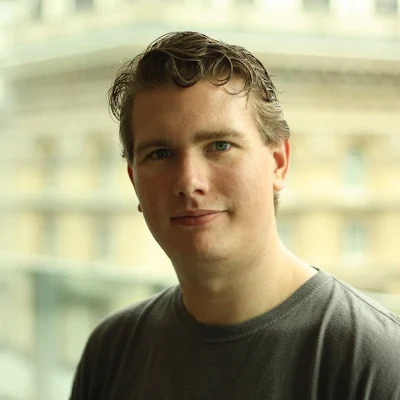 The right choice is to create a new app with the same your package name in the Firebase console for the upgraded project, but not to include a SHA1. Next, back in the Firebase project, whitelist the client ID you just set for the GoogleSignInOptions in the Auth > Sign In Providers > Google section of the Firebase console. 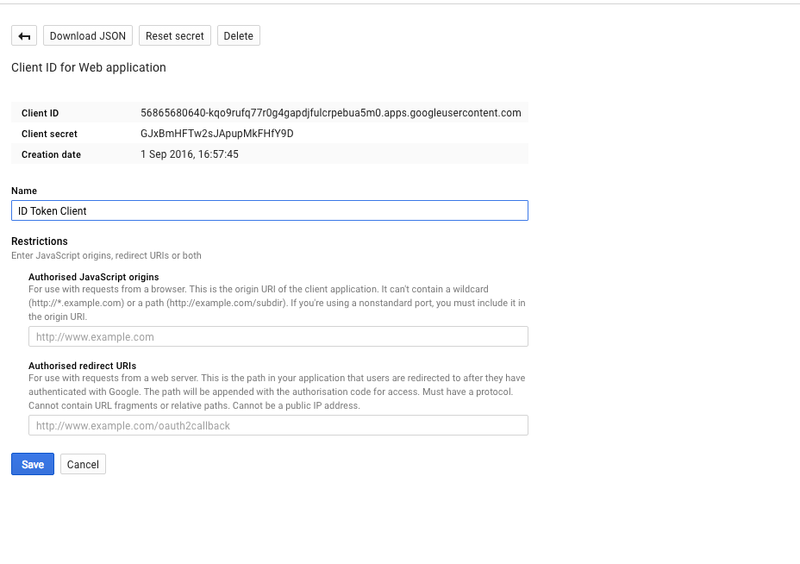 Be sure to re-download your google-services.json and add it to your Android app. At this point, your Firebase project will accept Google ID tokens generated by your Google project - so your Android app will happily sign in to Google using the Google project, then authenticate with your Firebase project using the Google ID token following the normal approach. You'll be able to make authenticated calls to Google APIs associated with the Google API project, and authenticated calls to Firebase APIs using the Firebase project. In the previous situation, we had a single Firebase project which needed to also access a Google project. That works because the APIs are separate. However, sometimes you need to access different projects using the same APIs - for example, accessing multiple database instances. For Android apps using Firebase, there is a central FirebaseApp object that manages the configuration for all the Firebase APIs. This is initialized automatically by a content provider when your app is launched, and you typically never need to interact with it. However, when you want to access multiple projects from a single app, you'll need a distinct FirebaseApp to reference each one individually. It's up to you to initialize the instances other than the default that Firebase creates for you. We can combine the two techniques above to allow sharing authentication data between Firebase project whenever you have an external ID to join on. For example, if our app allows sign in with Google Sign-In, and we have configured our database rules in our default and secondary projects to require authentication, we can use the same Google credential to log in to both systems. 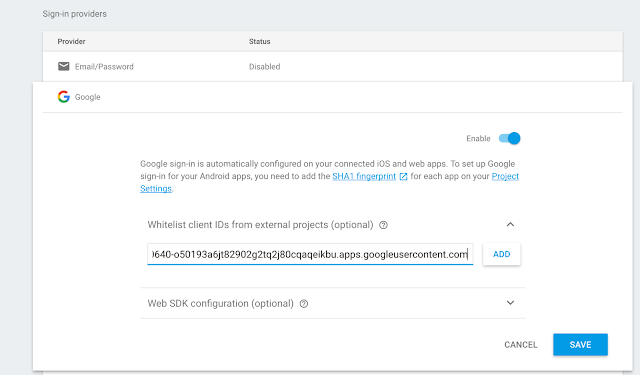 With that in hand, we go to the Google panel of the Auth > Sign In Providers section of the secondary project, where we can whitelist the client ID. With one sign in from the user, they are authenticated against both projects. If the app doesn't offer account linking, we can use the Google (or Facebook, Twitter, etc.) user ID for things like database structures and security rules. However, if we need the same user ID in each project, or we're using email/password or anonymous auth, the situation is slightly trickier. Luckily, it can be resolved using custom auth facilities, along with some server side code, since custom auth tokens get to specify their own UID! Note: We can use any sign in provider we want here! We're just using the custom token to link our user IDs across projects. We send that to our server, where we use it create a Firebase custom token. Just as on Android, we need to initialise each of our apps, though we use service accounts as we're server side (here we're using the Java server SDK, but you could use NodeJS similarly). Back in the Android app, we take the custom token from the server and use it to authenticate to the secondary project. Now the Firebase uid in both projects matches. Hopefully, this helps offer some options for dealing with multiple Firebase projects from a single app. If you're wondering whether the same thing works on iOS and the web - it absolutely does. You just need to use the equivalent to Android's FirebaseApp to create a reference to the secondary project. For more information and links, take a look at the new Configuring Your Firebase Project page in the Firebase documentation.